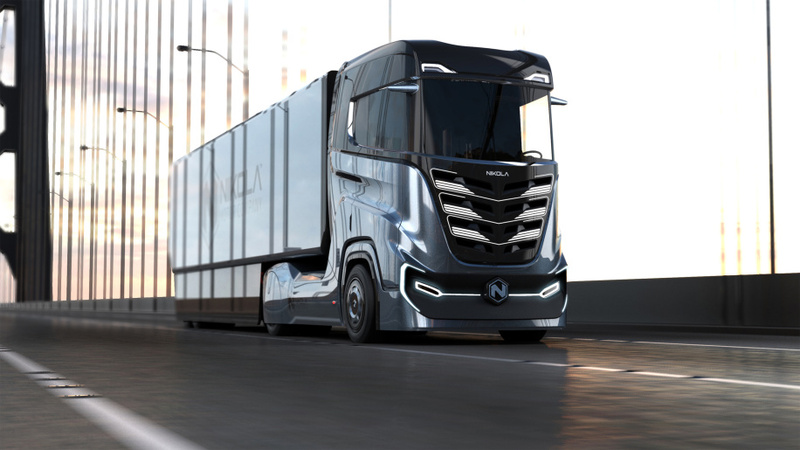 Last week, the American start-up Nikola Motor Company presented its third truck called 'Tre', which is powered by hydrogen. The prototype and the two predecessor models Nikola One and Nikola Two will be presented in April 2019 in Phoenix. The new model, intended for the European market, does not have an outstanding design. It resembles those of well-known models such as MAN or Scania. Depending on the equipment, the truck should have a range of 500 to 1,200 kilometers and have a hydrogen fuel cell. The Tre will be available in 6x4 and 6x2 configurations. The name "Tre" comes from Norwegian and stands for the number "three". Nikola Motor Company has selected the Norwegian hydrogen company from Oslo, "Nel Hydrogen" , which will provide the necessary technological knowledge for the infrastructure. The Norwegians and their technologies are among the leading suppliers in the field of hydrogen. "We will work with Nel to secure resources for our European growth strategy and we have a lot of work to do, but we can do that with the right partners," said Kim Brady, CFO of Nikola Motor Company. The Tre is to be charged at special hydrogen stations, which are to be installed in Europe from 2022 onwards. Between 2,000 and 8,000 kilograms of hydrogen are to be produced per station per day. In the US and Canada, more than 700 hydrogen stations are to be built by 2028.